Hampshire is a county in southern England. Its main cities are the ports of Southampton, and Portsmouth, and the historical city of Winchester. Much of England's newest National Park, the New Forest, lies within the West of the County and is an important site for biodiversity, being one of England's last remaining areas of extensive heath and oak forest. Wild horses, called New Forest Ponies, are found in this area. 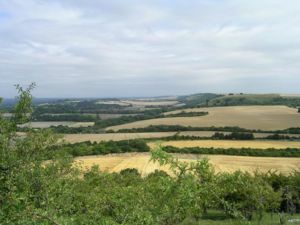 Hampshire lies to the south-west of London and is situated centrally on England's south coast. It borders the counties of Dorset, Wiltshire, Berkshire, Surrey and Sussex. The Isle of Wight lies a few miles offshore and was once administratively considered part of Hampshire; however, today the island is officially a county in its own right. The state of New Hampshire was named after this English county. This page was last modified on 20 March 2019, at 08:41.